This is the only reading from Esther in the RCL. So one year it would be a delight to tell the whole, somewhat unknown, story with dramatic flair. The story features two courageous people who act heroically and save the day without the benefit of super powers or super tools. They simply and bravely do what has to be done using what they have at hand. They are great role models. It is an opportunity to go short on the sermon in order to go long on the scripture and possibly to involve the children in the presentation of scripture. X The assigned verses assume that listeners know the whole story. Since many do not, it is worth telling that story. Because the story is long and complicated, children’s Bible story books are good readings. Try one of these. Queen Esther, by Tomie de Paola, is my favorite version of the story, but is old and therefore harder to get. In the middle of the book there are several pages of paper puppets to be glued to sticks and a stage to cut out. A children’s class could be videoed presenting this puppet show while the story is read. The video could then be projected as the scripture for worship. The story can be read in about 8 minutes. “Esther Saves Her People” in Children of God Storybook Bible, by Desmond Tutu, is the shortest version of the story. It is one page and can be read in 3 minutes. It presents only the outline of the story without all the colorful details. But, it does tell the whole story. “Esther Saves Her People” in The Family Story Bible, by Ralph Milton, adds many but not all of those details. It can be read in 5 minutes. 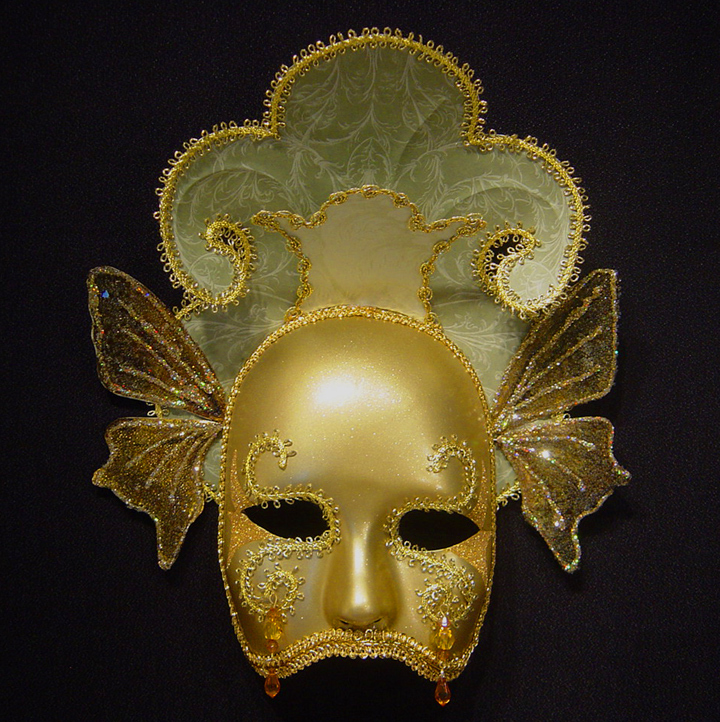 Don't give this to an artist as a pattern. that might be grist for their mill. X These story books can be further brought to life by older children or youth pantomiming them to help listeners follow the action. 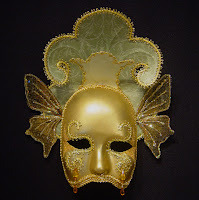 Ask an older artist to create over-sized, ornate masks of the faces of Esther, the King, Haman, and Mordecai. The children carry them on dowels/broomsticks in front of their faces as they walk through the action of the stories. X Jewish congregations often cheer every time Esther or Mordecai’s names are mentioned and boo or stomp their feet every time Haman’s name is mentioned. To do this think like silent vaudeville performers. Have “acolytes” with posters that urge people to “Cheer!” or “Boo!” cue the congregation as the story is read. Read this psalm after reading the story of Esther. Imagine yourselves among the Jews celebrating God’s saving them from Haman’s destruction. XTo help children grasp all the images in the psalm, have worshipers open their pew Bibles. Briefly point out the format in the first verse, then walk through the images that say how much trouble they were in. It was like we were being carried away by a raging flood. It was like an animal was eating us. Point out that in all these situations God did indeed save the people. Then read the psalm together from the Bible or using the script below. Leader: What if the Lord had not been on our side? who has not let our enemies destroy us. Yes, I reworked the script as it appeared in Year A. At this point, it just felt better to me this way. X Identify people who are in situations like that of Esther today, e.g. Christians in some Muslim countries and Muslims in some Christian countries, even illegal immigrants in the US. Sing “We Shall Overcome” in spirit of psalm and for all who need God’s help. This story echoes the Gospel for today. Neither story grabs the attention of children, but the gospel probably does it better than this one. X If you do explore this with the children, highlight all the complaining that is going on. The people are complaining about their food and Moses is complaining about his job. That is OK with God. God doesn’t give them all a lecture about complaining. God responds. The people remember who they are and what they are doing (even while not eating well) when the gift of prophecy is given the 70 elders. Moses is instructed to share his leadership work with natural leaders already in place. Psalm 19 appears frequently in the lectionary and was the psalm for Proper 19 - just 3 weeks ago. One of the best ways to share it with the children in the congregation is to print the six synonyms for LAW on separate posters. Read each one and pass it to a worshiper who is invited to stand at the front. Give the more complicated words to older worshipers – maybe “ordinance” to a lawyer – and simpler words to younger worshipers. Point out that they are synonyms, they are different words for the same thing. Instruct poster bearers to raise their poster as they hear their word in the psalm. As you read the verses, pause when you come to each poster word. X James describes practices that heal and restore the community. His thoughts provide an opportunity to explore specific practices as practiced in your congregation. If your congregation holds healing services or anoints the sick with oil, explain these rites to the children. Show them what is done. Tell them why you do it. And, clarify any misconceptions about “magic” involved in them. If your congregation hears prayer requests during worship on Sunday, take time before those requests are collected to explain what you do to the children. Also invite them to suggest prayer concerns for this day and be sure they are mentioned near the beginning of the church’s prayers that follow. Compare the order of the prayer of confession and assurance of pardon used in your worship to the process that unfolds when we apologize to and forgive each other. Use a specific example such as a friend you called a mean name (pick one that kids hurl at each other in your area) or tripping a kid you do not really like that much as he or she walks past your desk. 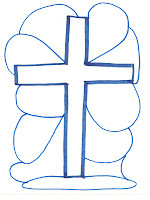 X Offer children prayer sheets on which to write/draw their own prayers for their church and for people in it. 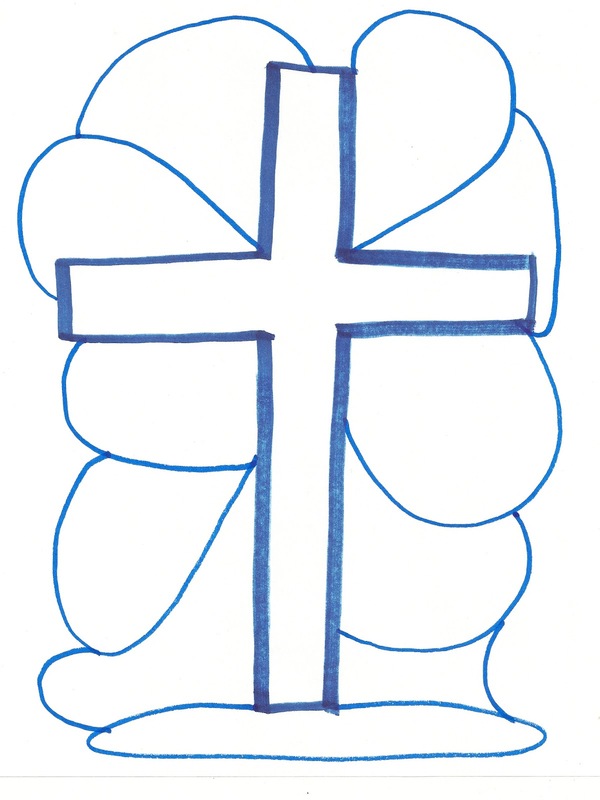 Begin by drawing a big cross in the center of the page. Then make big scribbly loops all around it. Challenge the children to write or draw a prayer for a different person or group in your church in each space. (The scribble format could be done by the children at your direction or you could prepare the sheets before worship.) Collect the prayer sheets in the offering baskets. 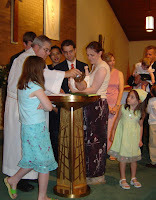 Or, invite children to tape them to the edges of the Table or rail at the front of the sanctuary at the end of worship. X If you deal with the questions raised about unanswered prayer that are raised by the reference to Elijah, be straight with the children too. They need to hear early that we don’t always get what we ask for – even from God. They also need to hear that adults are mystified when they ask God for good things - like the healing of someone they love - and they don’t get them. Knowing this makes children less likely to conclude either that they are bad people or that God doesn’t love them when they pray for something they desperately want and need but do not get it. They know that it happens to everyone and that no one understands it or likes it. That helps – a little. There are several themes in this complex passage. Parts of some of them can be explored with children in ways that enriches them for the adults as well. X The disciples point out people who are healing in Jesus’ name, but are not members of their group. So, identify others working for the public good in your community, especially other churches. Celebrate what all are doing. Be sure the children know these other groups are not enemies, but share the building of the Kingdom. Show pictures of other churches in your town. Note ministries for which they are known. This could be a discussion and/or a prayer with the group praying for each church as it’s picture is displayed. X “There’s A Spirit in the Air” speaks in simple everyday words about joining God in ”living working in our world.” Before singing it challenge worshipers to listen for examples of ways God is at work in the world. X Verse 50 about the salt is an object lesson and makes more immediate sense to adults than to children. So focus on explaining the connection. 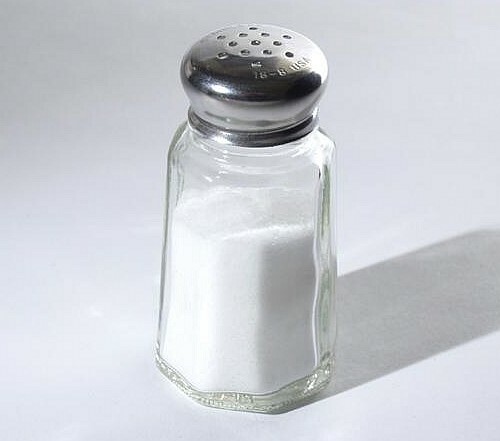 Give children a tiny taste of salt. Talk about the difference salt makes on mashed potatoes and corn. 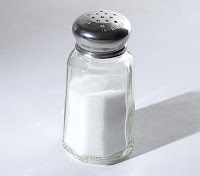 Insist that Jesus says we should make as big a difference in the world as salt makes in food. Identify ways we can make a difference – being kind to other people, helping out wherever we can, sharing what we have with people who need our help, etc. X The hard teaching about the millstone is for the children too. They may not catch the message as the verse is read and they don’t need an explanation of a millstone and what would happen if a millstone were tied around a person’s neck as the person was tossed into the water. But, they can hear a preacher insist that they are responsible for the younger ones around them and the ones who follow their lead. If they kind of egg those kids on or let them think that something that they know is not OK is OK, then it is their fault when those other kids get in trouble. They are responsible. That responsibility starts now not when they grow up. If a child is being baptized on this Sunday, put a positive spin on this teaching. Review with the children any questions posed to the congregation. Point out to the children that they can answer those questions and with them think about how they can live out their answer to the questions, i.e. care for the child, tell the child about Jesus, and help the child feel at home around the church. X The verses about cutting off offending parts of one’s body are verses I’d skip over with children. Children think so literally that they cannot get past the mental picture of deformed bodies that they are told are appreciated by God. This is an idea to save for later.